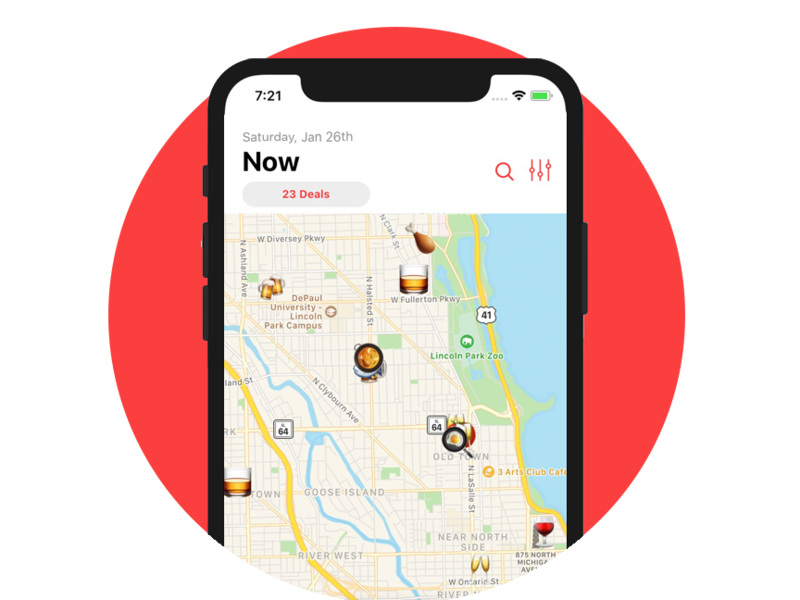 Coming in more clutch than MJ in Game 6, WhatElse lets you instantly browse nearby Chicago happy hours, brunches, and other recurring food & drink specials. "Why should I be using WhatElse?" Whether its date night, after-work shenanigans, or you’re just balling on a budget, WhatElse lets you enjoy Chicago’s best cocktails and delicious food at a fraction of the regular menu prices. We audit Chicago food & drink specials regularly to make sure you can always easily browse them in times of need (I.e. Friday @ 5pm). 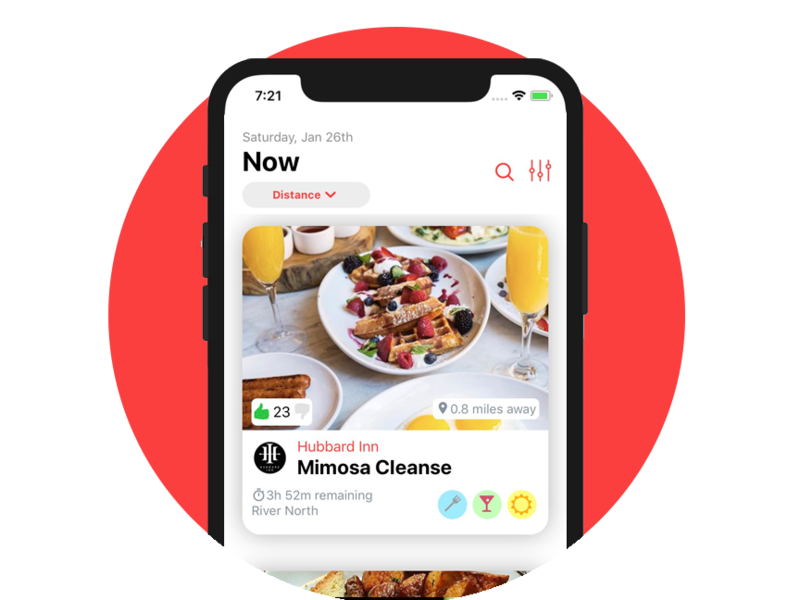 At a quick glance you can browse nearby happy hours and other recurring specials using an emoji-based radar. Whatever you’re in the #mood for, view specials by neighborhood, distance, number of likes, rooftop and other useful filters. Sort by distance, popularity or time remaining. Each deal card lists the neighborhood and has icons that indicate if the deal has food, drink, a patio or a rooftop. Each deal is represented by an emoji. Click on an emoji to learn more about the deal. ADD, UPDATE & ADVERTISE ALL YOUR DEALS IN REAL-TIME. THOUSANDS OF NEARBY USERS WILL SEE YOUR DEALS LIVE ON A MAP WHEN THEY ARE LOOKING FOR THEIR NEXT HAPPY HOUR.